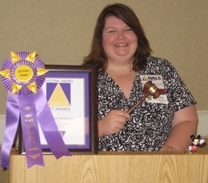 Were you at the NALA Convention in Portland? Are you going to the NALS Convention in Atlanta? What about the NFPA Convention in Hartford? Turns out, there was a convention for military paralegals at Fort McCoy, Wisconsin July 12 through 26. Who knew? Paralegal soldiers from throughout the U.S. Army Reserve and Army National Guard came together to conduct the 2013 Paralegal Warrior Training Course. 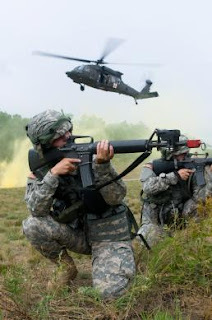 The course, which includes classroom and tactical training, is designed to help soldiers refresh the paralegal skills they may not frequently use in their day-to-day military occupation. The annual course, organized by the United States Army Reserve Command Staff Judge Advocate Office, is centered around keeping the students up-to-date on the changes frequently happening in the legal field of the military, said Sgt. Maj. David Becker, the command paralegal for the U.S. Army Reserve. The course, now in its 17th iteration, continues to improve each year. Staff Sgt. Alex Ushomirsky, paralegal, 153rd Legal Operations Detachment, has attended the course twice and he agrees with Becker on the improvements. This year, the students spent 36-hours in the field conducting tactical operations, including squad movements, urban operations, and medical evacuation training involving an actual MEDEVAC helicopter flying in to add realism to the training. “Although the field training was hard this year, it was good. The inclusion of the helicopter for the MEDEVAC training was great,” Ushomirsky, a Philadelphia resident added. Hart, a West Warwick, R.I., resident, said the training wasn’t what she was expecting before she arrived. The students also conducted mock administrative separation boards and Article 15 hearings, allowing the soldiers to properly conduct proceedings they are likely to see in the legal field, said Master Sgt. Steve Minyard, the director of this year’s PWTC and Duncanville, Texas, native. Spc. Edward Yi, paralegal, 300th Sustainment Brigade, said he has experience participating in administrative boards from his active duty service and felt the mock boards were accurate training. While Yi has experience with administrative boards, Staff Sgt. Joe Myers, paralegal, 8th LOD said he has little because his job as a paralegal is centered on more administrative areas. Ushomirsky urges paralegal soldiers in the Reserve and National Guard to attend the PWTC as soon as possible saying, future students will leave with more knowledge and capability. 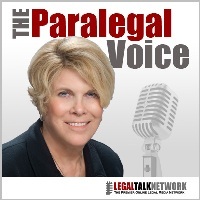 On this edition of The Paralegal Voice, Vicki Voisin explores paralegal writing skills with noted legal writing educator, Gary Kinder. They focus on the importance of writing skills and how paralegals can improve those skills. Fine tuned writing skills are pivotal to a firm’s success. They affect first impressions through websites, newsletters, client leads, emails or network listings, client representation, legal write ups, and the list goes on. Gary Kinder is a lawyer and New York Times bestselling author. He has taught over 1,000 writing programs to prestigious law firms nationwide. His career is dedicated to teaching legal professionals how to write precisely, vividly, concisely and memorably. He channeled years of experience studying superior legal writing and editing into the creation of WordRake, software designed to help law firms and organizations tighten their prose and become better writers. He also authors a weekly writing tips blog called WriteToThePoint.com. How the Act affects paralegals. In the Practice Tips section of the show, Vicki provides guidelines for gathering sufficient information from a potential client so the firm can decide whether or not to accept a case.